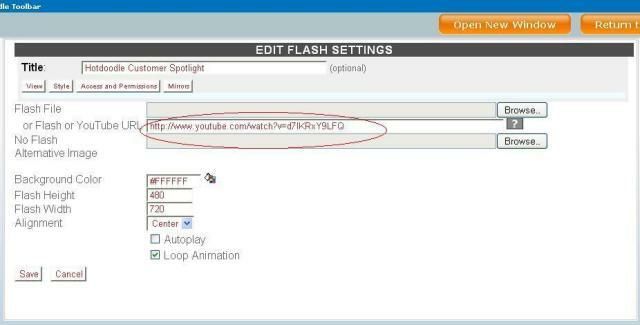 Flash Block lets you insert Flash content such as animations. It will play 'swf' or 'flv' files while letting you set paramaters such as size and height. SWF files can be uploaded or played from a link. FLV files can be played only if they are uploaded. Most videos play in 320×240 which is referred to as the Standard Quality. Select videos on Youtube are available in High Quality and High definition as well. To force high quality, you need to append an extra parameter (&fmt=) to the URL.